Are you looking for the best way to explore ancient Athens? 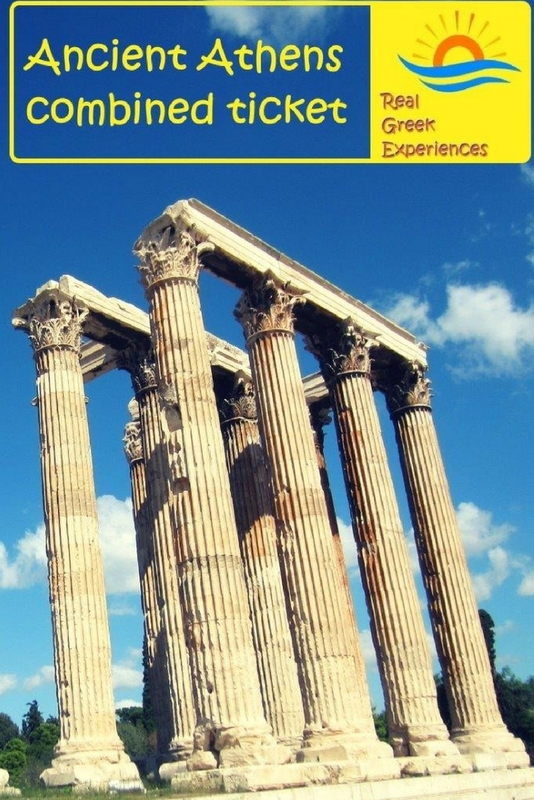 Our guide helps you get the most value out of the Ancient Athens combined ticket, for the Acropolis and other archaeological sites in Athens. 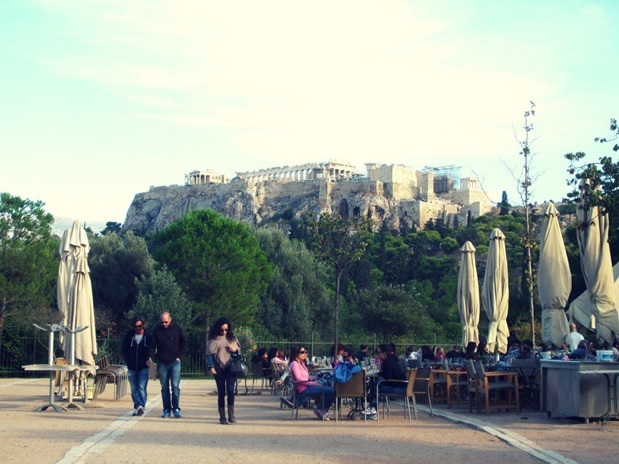 Ask anyone what is the number one thing to see in Athens, and they will definitely say “The Acropolis“. With no doubt, the stunning 2,500 year-old archaeological site is a must-see when you are visiting Athens. However, it’s not the only ancient site you can visit in our vibrant city! 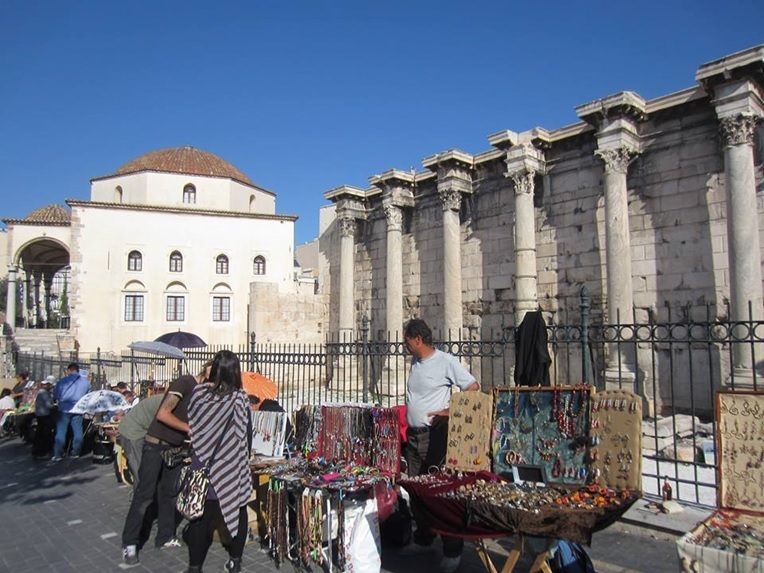 Ancient Athens is all around if you know where to look, and you don’t need to pay a separate entrance fee for each one. If you are planning to visit three or more sites, it makes sense to purchase the Athens combined ticket at 30 Euros. 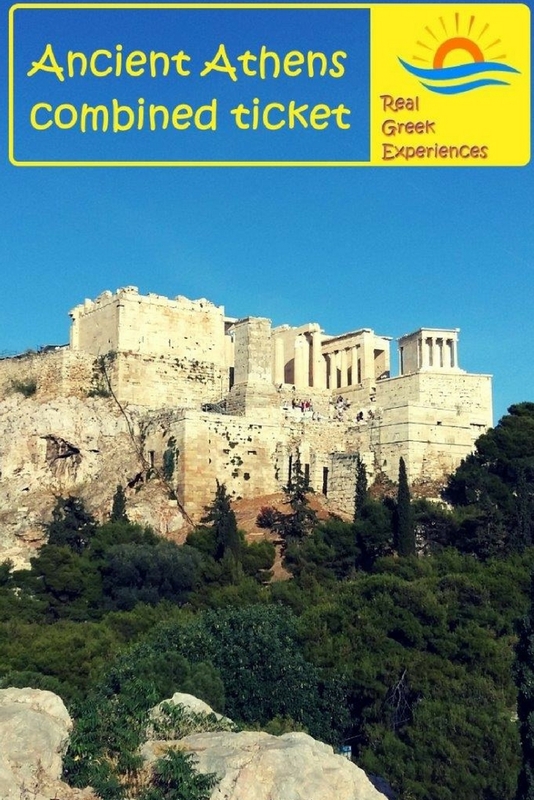 If you just want to visit the Acropolis, or other sites individually, then simply buy the single entrance ticket for each one. Student and senior discounts are available, and entrance to all the sites is free on selected dates during the year. For more information, you can visit the official website or our article on Ancient Athens for free. It would be a difficult task to write anything new about this superb ancient Greek monumental complex, which was declared a UNESCO monument in 1987. The Acropolis of Athens is located on a hill of about 150m, and it consists of fortification walls and temples. The first wall was built during the 13th century BC, in the Mycenaean era. The complex reached its peak in the 6th and 5th centuries BC, especially at the time when Perikles was ruling Athens. 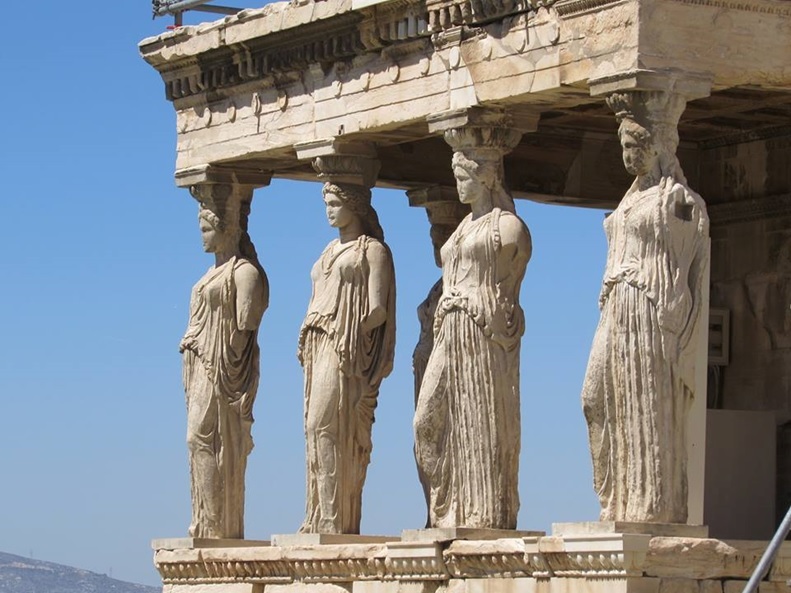 Nowadays, we can see the remains of a number of monuments – the Parthenon, dedicated to Athena, the city’s patron goddess, the Erechtheion, the Propylaia and the temple of Athena Nike. They have survived earthquakes, wars, bombings, alterations and even poor restoration works, and they are still standing today, reminding everyone of Greece’s unique past. In ancient Athens, the Agora was the heart of the city-state. In fact, the Greek word “agora” means “gathering place” or “assembly”. The Agora was the centre of political, artistic, athletic, spiritual and everyday life of Athens. Along with the Acropolis, this is where Democracy, Philosophy, Theatre and Freedom of Expression and Speech were born. 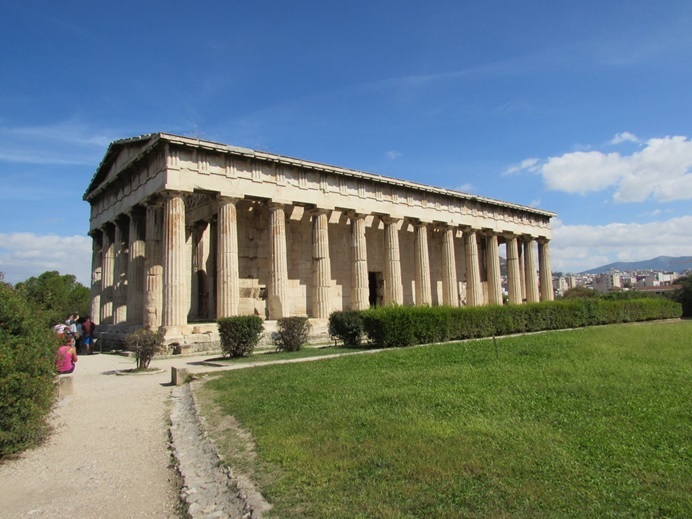 The highlights of the Agora include the Stoa of Attalos, and the temple of Hephaestus. The Stoa of Attalos, which has been rebuilt and transformed into the Museum of the Ancient Agora, was quite possibly the first Mall in history. The temple of Hephaestus is the best preserved temple in the whole of Greece. Apart from those, you might be surprised to see a well-preserved Byzantine church, the Church of the Holy Apostles, built in the 10th century AD. 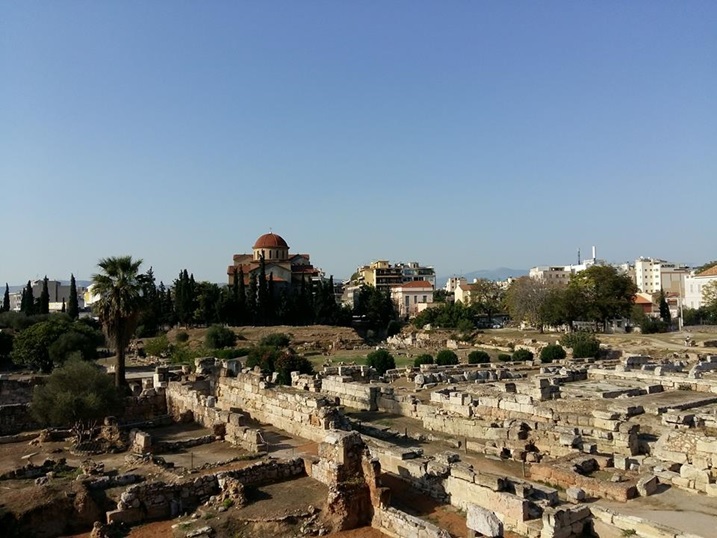 The archaeological site of the Kerameikos is often overlooked by visitors, but we strongly suggest you visit here on the Athens combined ticket. It’s one of the most important areas of ancient Athens. The area was developed around the banks of river Eridanos, whose banks are still visible today. Named after the Greek word for pottery, the area originally served as a settlement for potters and vase painters, and was the main production centre of the famous Athenian vases. The site was later converted into a burial ground, which eventually became ancient Athens’ most prominent cemetery. 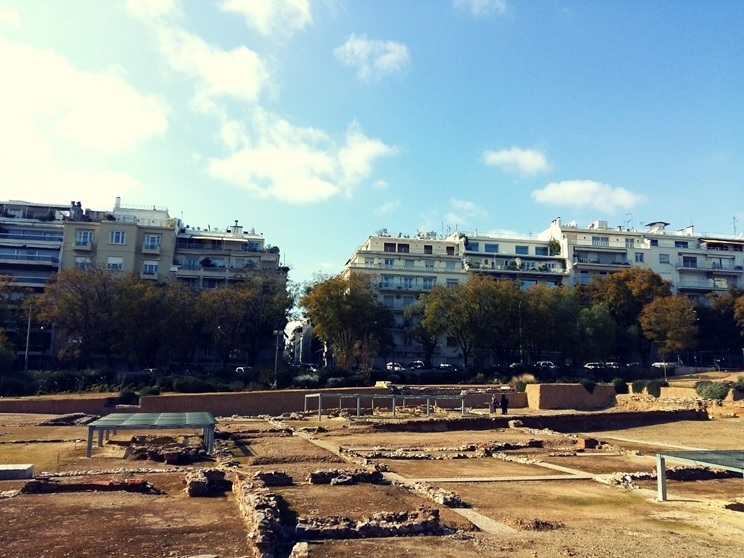 The site of Kerameikos contains a part of the Themistoclean Wall, which was built in 478 BC to protect the ancient city of Athens from the Spartans. The Wall divided the Kerameikos into two sections, inner and outer Kerameikos. Inner Kerameikos (inside the city walls) developed into a residential neighbourhood, whereas outer Kerameikos remained a cemetery. Parts of the Wall, together with the gate of Dipylon and the Sacred Gate are preserved today. These were the starting points of the Panathenaic procession and the procession of the Eleusinian Mysteries respectively. Excavations in the Kerameikos area began in 1870. During the construction of Kerameikos metro station, approximately 1,000 tombs from the 4th and 5th centuries BC were discovered. Burial-related exhibits are showcased in the museum of Kerameikos. 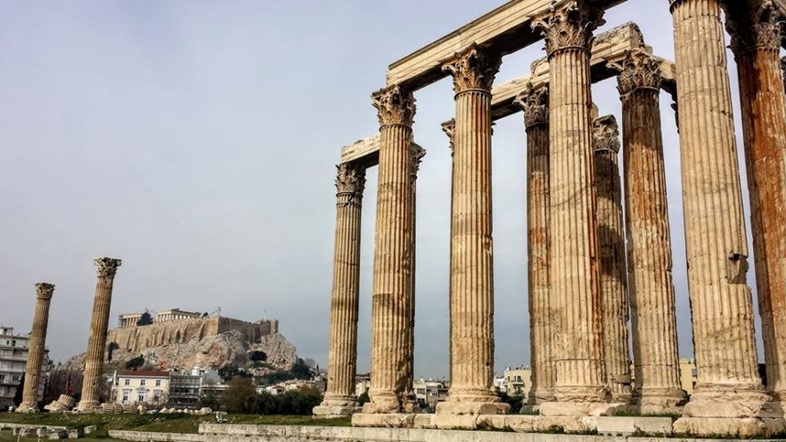 The Temple of Olympian Zeus is one of the oldest temples in Athens, and one of the largest ever built in Greece. Its construction was initiated by the tyrant Peisistratus the Young in 515 BC, but was stopped due to the fall of tyranny. It resumed in 174 BC by Antiochus IV Epiphanes, and was eventually completed by Emperor Hadrian in AD 124/125. Over the years, a new city wall, a large Late Roman cemetery, and an extensive Byzantine settlement were developed in the area. Excavations on the site began in 1883. Of the original 104 columns, only 15 remain standing today. A 16th column collapsed during an earthquake in 1852, and the pieces can still be seen on the ground. The site is very impressive, and if you walk around you can see Acropolis in the background. 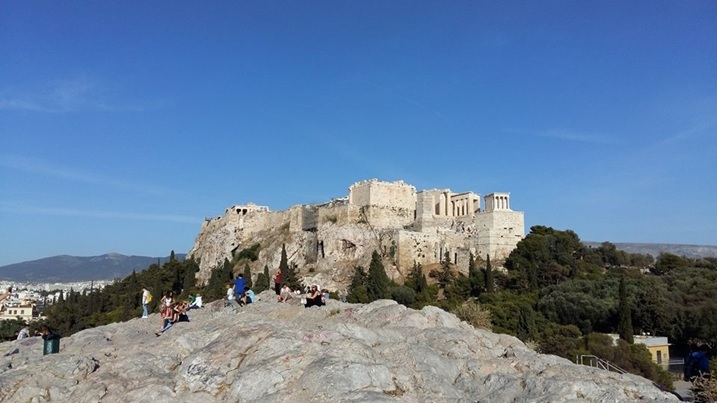 We recommend: Finding the perfect angle to take a photo of the temple, with the Acropolis in the background! The Roman Agora of Athens was built between 19 – 11 BC, with donations by Julius Caesar and Augustus. After the Herulae invaded Athens in AD 267, it became the centre of the city of Athens. During the Byzantine period and the Ottoman occupation, the site of the Roman Agora was covered by newly built houses, churches, the Fethiye mosque and workshops. Excavations of the site began in the 1830s. 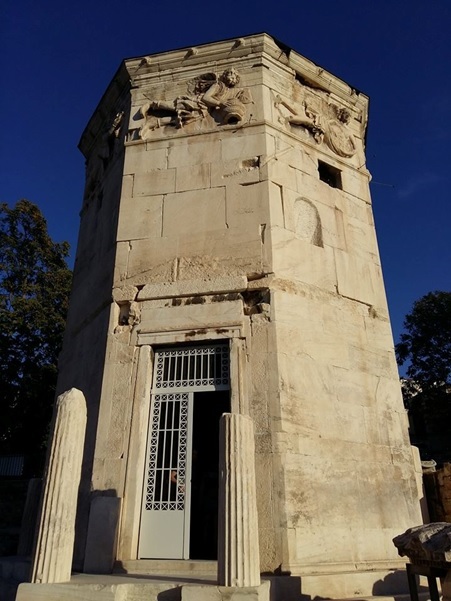 Within the Roman Agora, you can also see the Tower of the Winds, built in the 1st century BC by the astronomer Andronicos, from Kyrrhos in Macedonia. The tower is built of white Pentelic marble and is octagonal. It was originally used to identify the direction the wind blew; there were also sundials on the external walls and a water clock in the interior. Over the years, it was converted into a Christian church and into the tekke of the Dervishes. Excavations started in 1837 and the latest restoration work finished in 2016. Whilst the single entrance fee probably doesn’t offer great value, you should definitely see it with the Athens combined ticket. The Roman emperor Hadrian built this library in A.D. 132, and at the time it contained several rolls of papyrus books. Like other ancient Greek monuments, it was destroyed by the Herulae in A.D. 267. In the subsequent years, different types of Christian churches were built on top of the site. During the Ottoman occupation, the site became the seat of the Governor (Voevode). We recommend: A quick site to look around when using Monastiraki station (it’s directly opposite). An archaeological site opened to the public in 2014, Aristotle’s Lyceum is really a small park with a few ancient ruins. It’s definitely worth visiting if you have a special interest in ancient Greek philosophy. You can combine it with a visit to the nearby museums such as the Byzantine and Christian Museum, Benaki Museum, and Museum of Cycladic Art. Aristotle’s Lyceum was one of the oldest gymnasia in ancient Athens. Aristotle founded his Walking School (Peripatetic School), based on the principles founded by Plato’s Academy, and taught from 335 – 323 BC. This outdoors school taught rhetoric, philosophy and other disciplines. All Athenian men and youths were taught in the Lyceum, as part of their state military service. These days, you can see the remains of several buildings, such as the gymnasia, a palestra, baths and a library. We recommend: Reading about Aristotle and Ancient Greek philosophy before your visit! If you would like to save our article on the Ancient Athens combined ticket, pin one of the images below!